The Law Offices of Joel J. Kofsky and, our Philadelphia car accident lawyers understand the enormous challenge students face to pay for an undergraduate or graduate degree. A good education cost tens of thousands of dollars, which often places substantial financial burdens on a student and their family members. The costs of tuition, fees, books, supplies, and living expenses continues to escalate. Students are frequently left with one choice, forced to take out large student loans to fund their education which take years to pay off. We believe that a good education is a valuable investment in the future and that financial limitations should never be a barrier to a college education. To that end, we are pleased to offer a $1,500 scholarship to assist students enrolled in college or graduate school for the upcoming 2019 fall semester. To apply for the 2019 scholarship, you are required to create a short two to three minute video on the topic:. Videos will be judged on creativity, design, and content and may be as simple or complex as you wish. Videos should also be uploaded to Vimeo or Youtube. Send your video submission to scholarship@phillyinjurylawyer.com no later than August 15th, 2019 by 9 AM EST. Applicants must be enrolled in an accredited college or graduate school in the USA. Applicants must be eighteen or older. If you have any questions, feel free to contact us at 215- 735- 4800 or through our website contact page. The winning video will be posted for public viewing on The Law Offices of Joel J. Kofsky website. Scholarship winner agrees that their videocan be distributed through our newsletter, social media platforms, and email marketing campaigns as part of our commitment to serving the public. All applicants agree to allow their videos to be published to the public, as well as allowing their name to be advertised on our website and social media platform as the winner of the scholarship. No personal information or videos will be distributed to third parties for sale. Scholarship fund will be sent directly to the financial aid office at student’s school. minor. 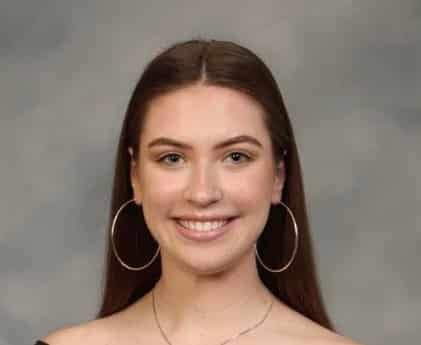 Currently, she takes dual enrollment classes to earn college credits while still in high school, and she plans to use this scholarship to fund this important aspect of her future plans. By getting ahead now, Marita can take one or two college classes and work har to earn high grades, which will later impact her college GPA. Outside of school, Marita works at an Olive Garden, takes lots of naps and likes to hang out with her beloved dog, Nikki.